Join Alex F Chang of The Philadelphia Whiskey Society and Meredith Megan Williams of Home Brewed Events at Kismet Cowork – Spring Arts location for an evening of Bourbon & Beer! These malted beauties share a lot more in common beyond just their ingredients. Let a Certified Whisky Instructor and a Certified Cicerone show off their favorite selections in side-by-side comparisons of multiple bourbons and beer styles. There will be light fare served during the class. Alex Chang is the first Certified Whisky Ambassador Instructor in Pennsylvania and has been officially assigned by the Whisky Ambassador Programme in Scotland to be a course instructor. He is also a Certified Executive Bourbon Steward of the Stave & Thief Society & Moonshine University. The program is recognized as the official Bourbon Certification of the Kentucky Distiller’s Association. Alex also has his World Masterclass of Whisky certificate which is a full in-depth online course on the entire field of whisky as instructed by David Broom. 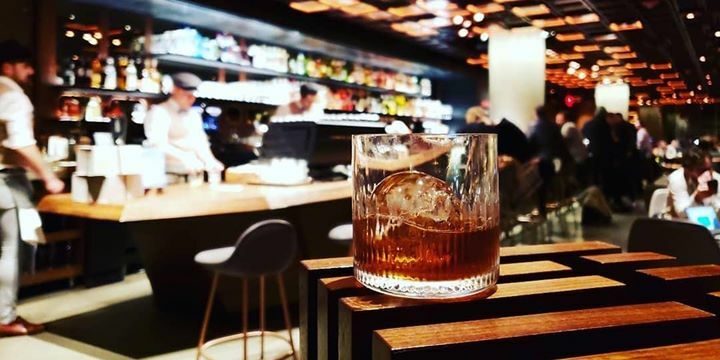 He’s completed the Wine & Spirits Education Trust’s WSET Level 2 Spirits course.Lastly, he heads the Philadelphia Whiskey Society and is also the founder of the Taichung Whisky Society in Taiwan giving him a global perspective on whisky. Proprietor, Meredith Rebar Williams (Certified Cicerone©) has a passion for brewing and creating unique, and specialized events around beer. Meredith began her career managing and producing special events and concerts at the Abbey Bar as part of Appalachian Brewing Company in Harrisburg, PA. She was also part of the Tasting Room event team that opened the new Troegs Brewing Company location in Hershey, PA. After moving to Philadelphia to be a part of the burgeoning beer scene, she joined Origlio Beverage as a Corporate Communications Specialist, writing articles for the seasonal publications, Draught Lines and Heady Times, developed background knowledge of beer wholesaler operations and craft beer sales and how to incorporate social media to develop business growth. In addition to running HBE she brewed professionally at Saint Benjamin Brewing Company, currently chairs the Philly Loves Beer Education Committee and is a founding member of the Philadelphia Chapter of the Pink Boots Society. Stay informed of our upcoming events, or reach out to start planning your own. Theme: homebrewed by 3 Spicy Veggies.